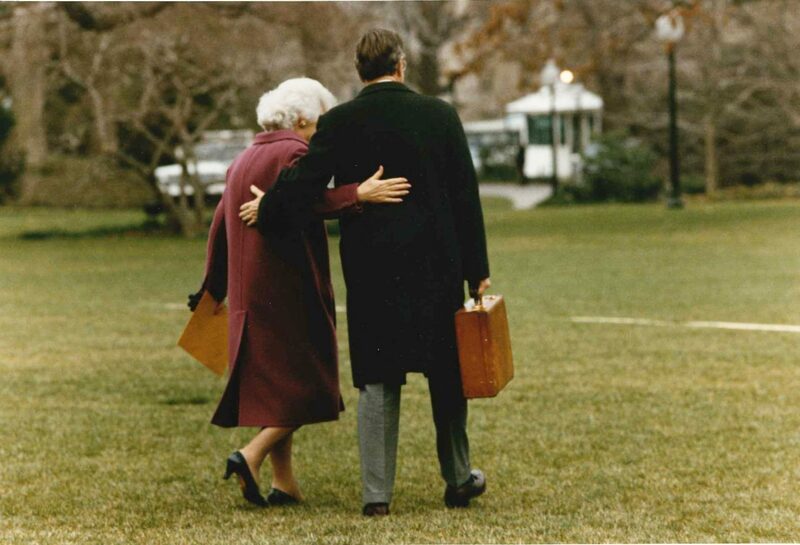 The late former President George H.W. 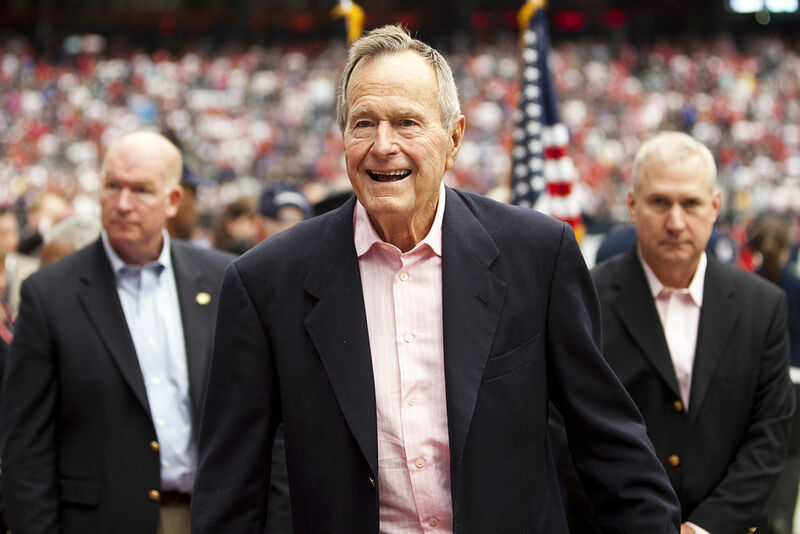 Bush will be at his final resting place in Texas on Thursday, after a second funeral at St. Martin’s Episcopal Church. He died last week at 94 years old. 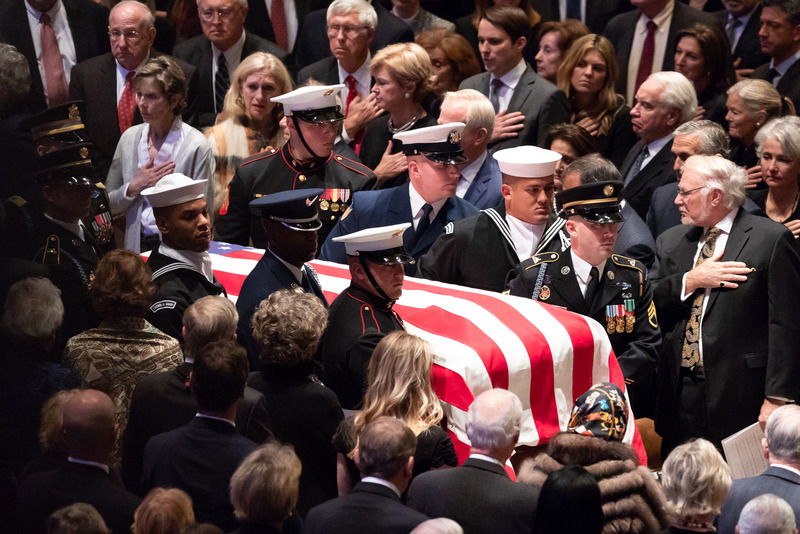 Bush Sr., known as “41,” will be buried the George Bush H.W. Presidential Library Center at Texas A&M University. He will be buried alongside his wife Barbara who died in April this year, and their daughter Robin, who died in 1953 at just 3 years old. 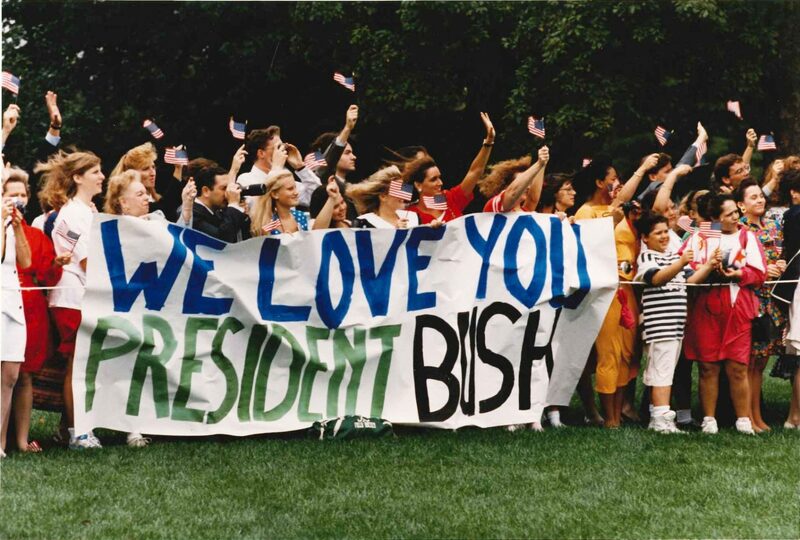 The former President passed away in his Houston home late Friday. 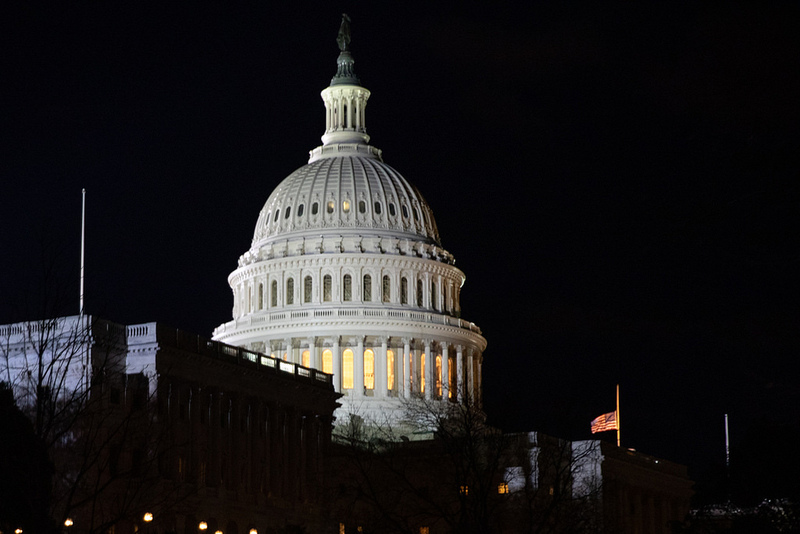 He battled vascular parkinsonism and was repeatedly hospitalized for pneumonia and other respiratory conditions over the past few years. 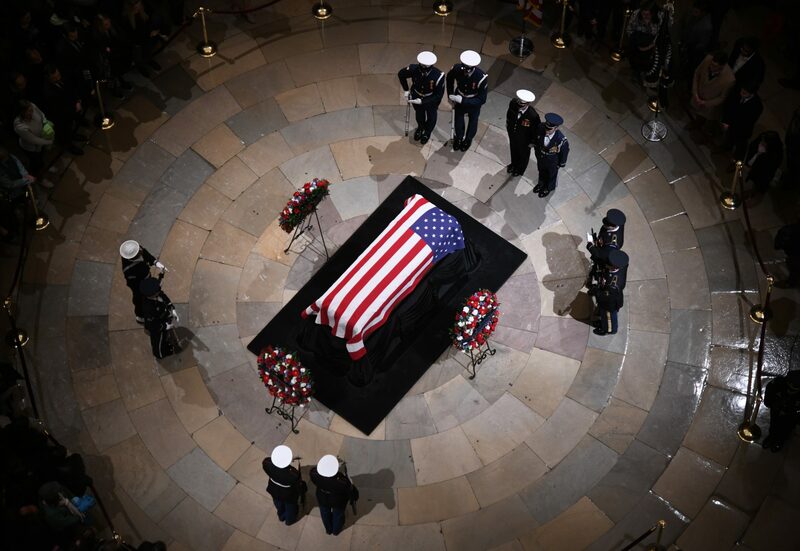 Bush Sr.’s casket was transported via Air Force One to Washington, D.C. on Monday where it remained in the Capitol Rotunda for the public to pay their respects until Wednesday morning. 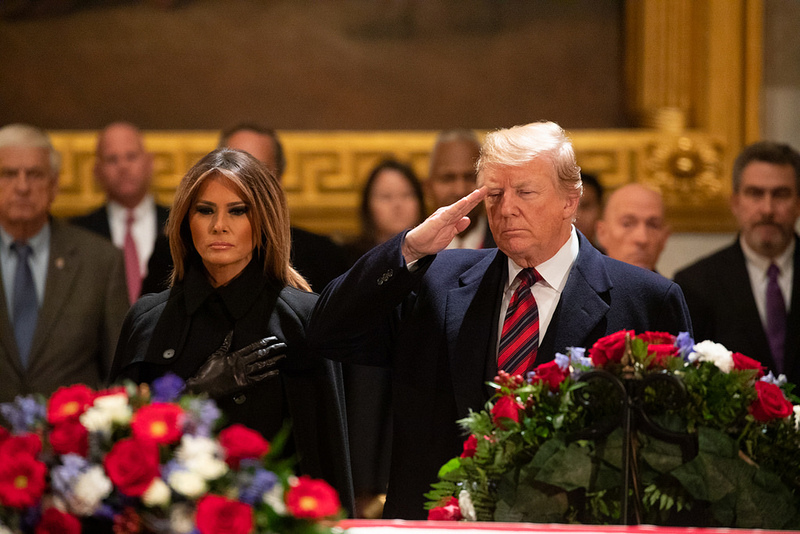 President Donald Trump declared Wednesday a National Day of Mourning to honor the late President. 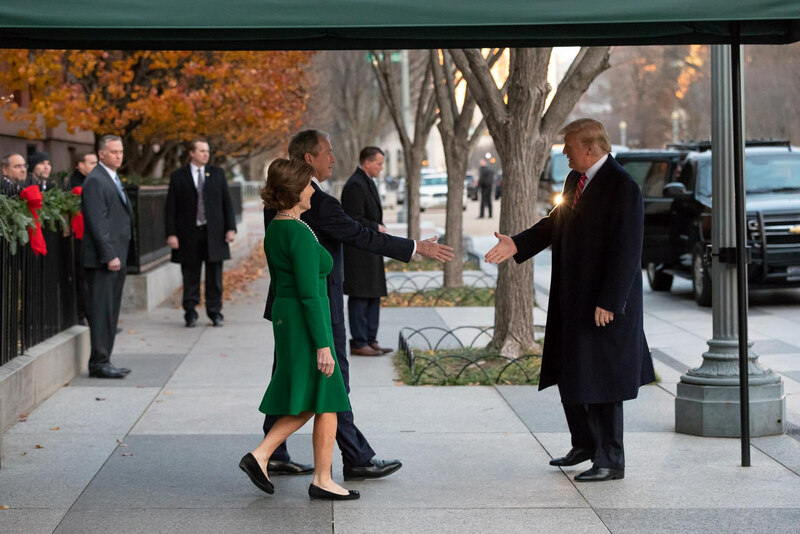 Trump and First Lady Melania Trump visited former President George W. Bush and his wife, former First Lady Laura Bush, on Tuesday at the Blair House in Washington, D.C. 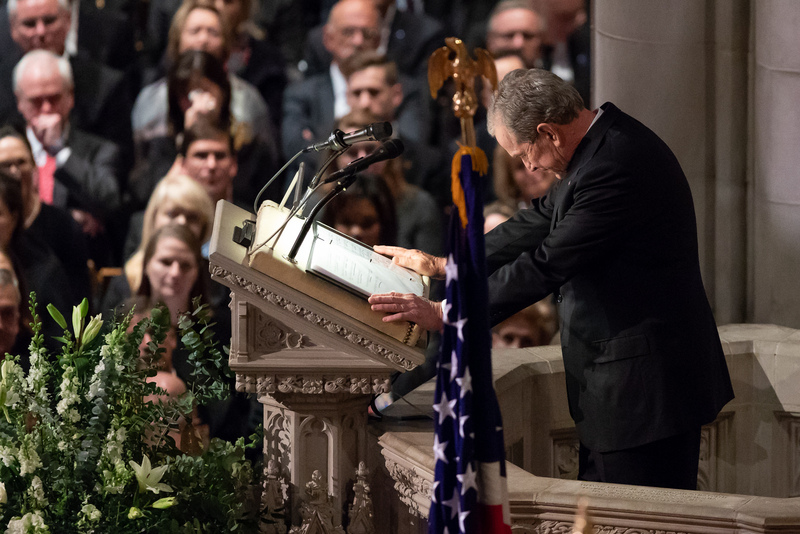 Many members of the Bush Family were in Washington, D.C., for George H.W. 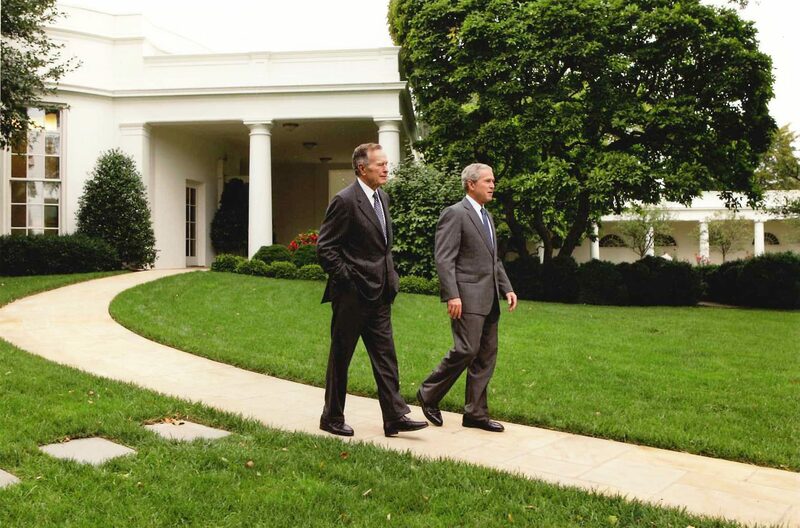 Bush’s funeral, and the President and First Lady also met with them. 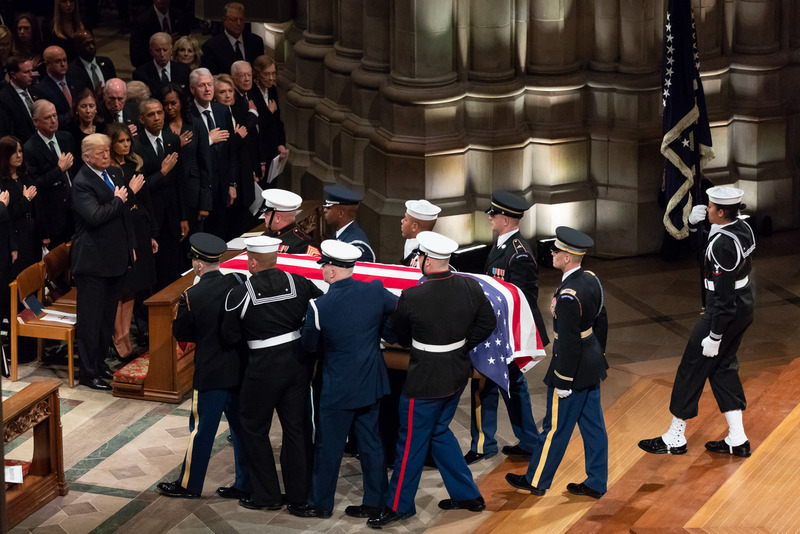 The state funeral for former President George H.W. 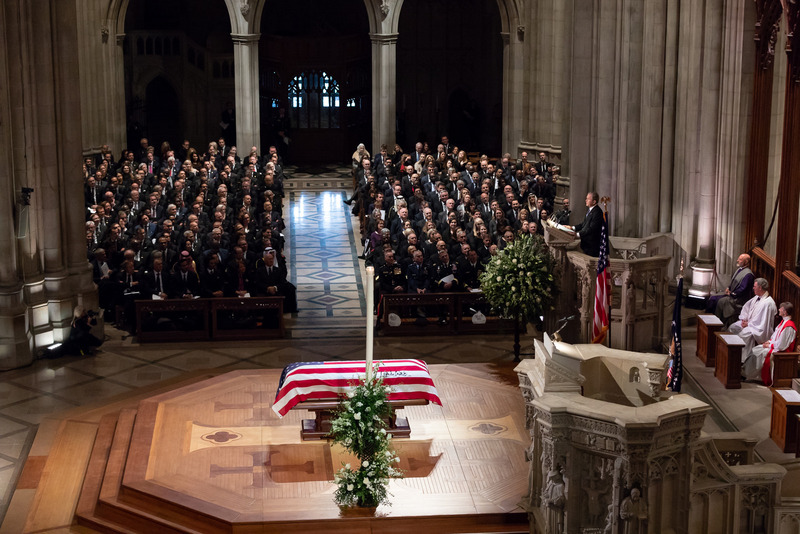 Bush took place at the Washington National Cathedral on Wednesday. 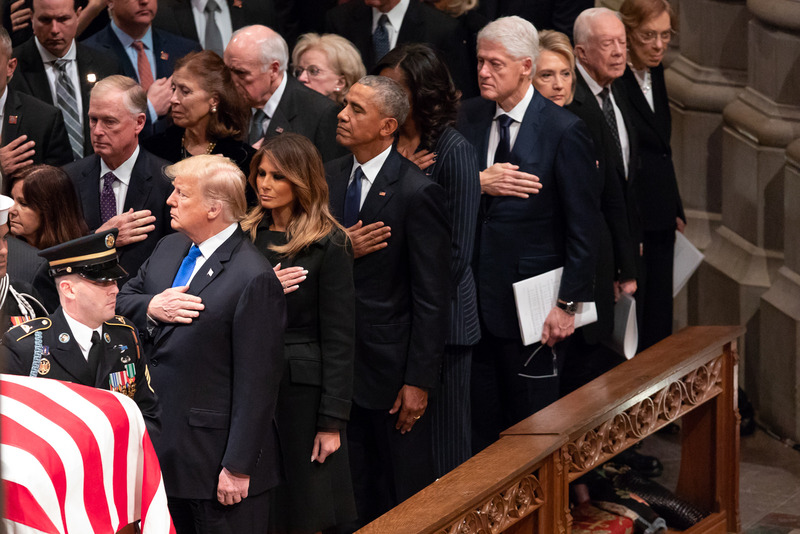 The ceremony was attended by all living former Presidents. It was also attended by international world leaders. 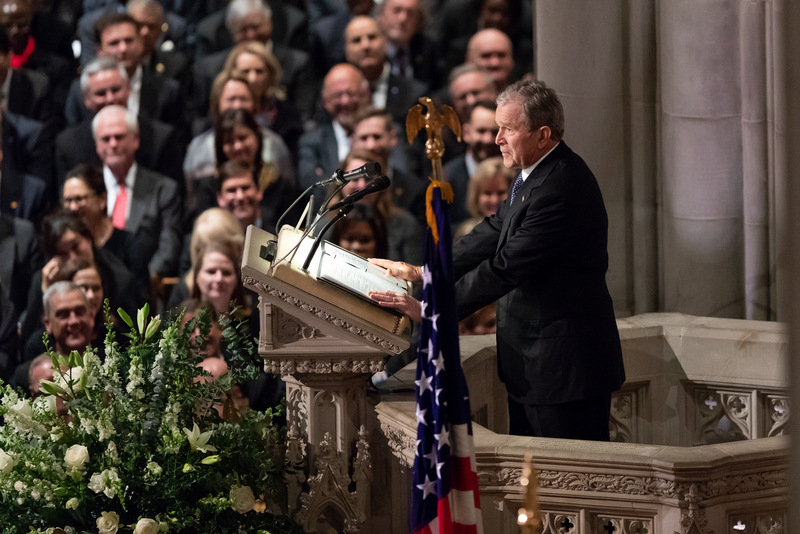 Bush’s son, former President George W. Bush, delivered the Presidential eulogy commemorating his father. 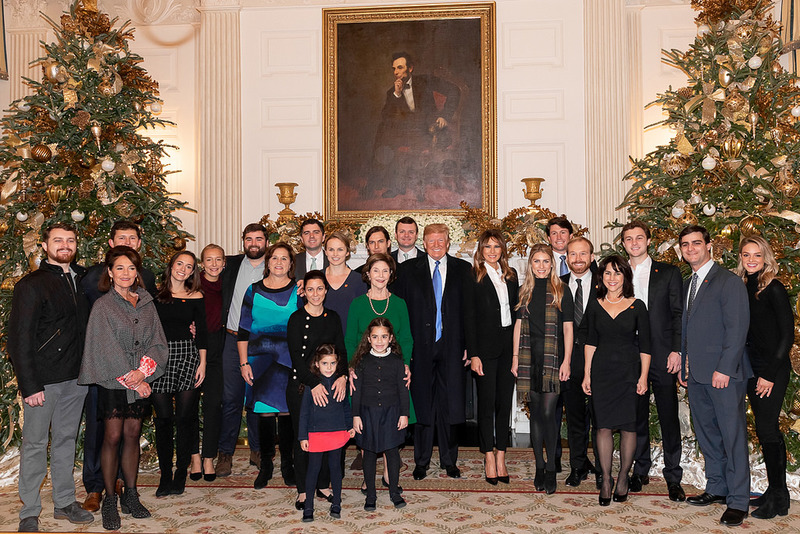 President Trump and the First Lady attended the ceremonies, and they had also visited Bush Sr. at the Capitol Rotunda on Monday. 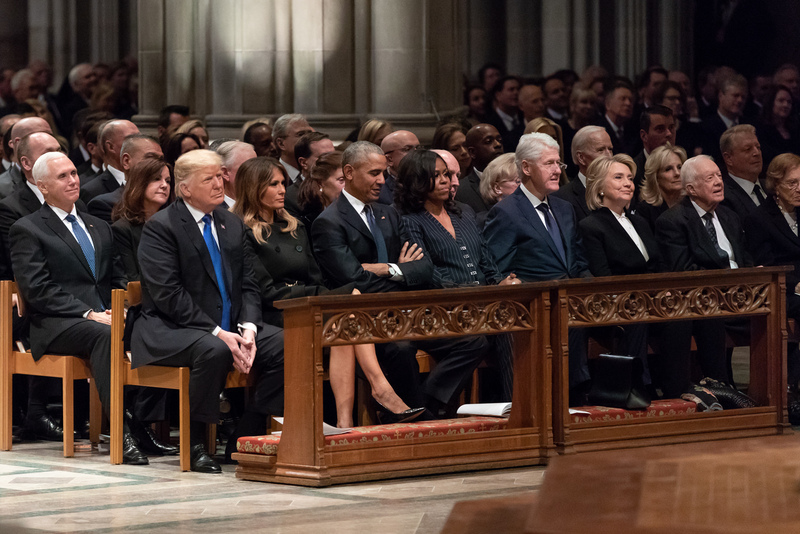 Former Presidents Barack Obama, Bill Clinton and Jimmy Carter also attended with their First Ladies, as well as the children of late Presidents. 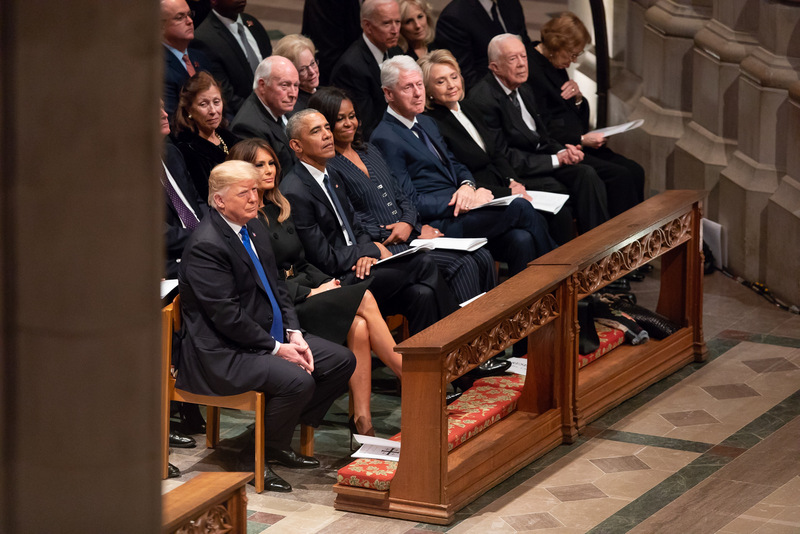 Trump sat with Obama, Clinton and Carter, along with their respective First Ladies, in the first pew of the church for the ceremony. 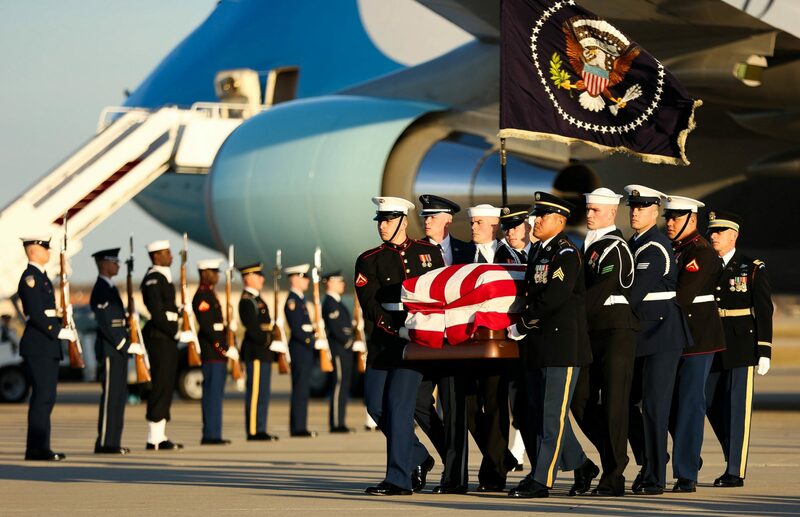 The late President leaves behind five children: former President George W. Bush, former Florida Gov. 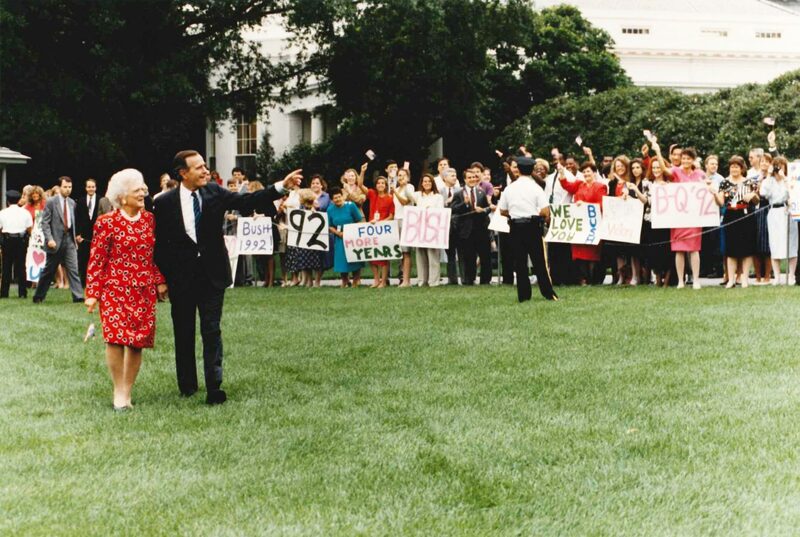 Jeb Bush, businessmen Neil Bush and Marvin Bush, and author Dorothy Bush Koch.